Raw and cooked vegetables add flavor, texture and many nutrients to your diet. While eating vegetables raw gives you an abundance of vitamins and minerals, cooking certain vegetables enhances some nutrients. The average adult needs at least four to five servings of vegetables each day. When preparing your next meal, take into consideration whether boiling or steaming your vegetables can enhance your nutritional intake. Some cooking methods result in a general loss of nutrients, according to a publication from the University of Kentucky. Boiling vegetables and discarding the liquid results in nutrient loss, as does cooking the vegetables for long periods of time. 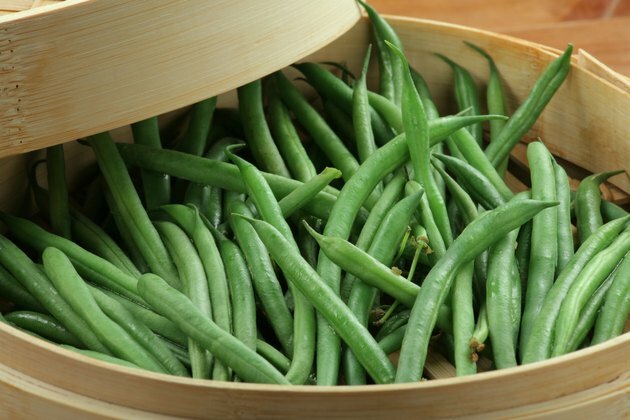 Lightly steaming vegetables helps retain vegetable nutrients in most cases. A cup of cooked vegetables generally contains more calories than does a cup of raw vegetables due to the shrinkage that during cooking. Kale and spinach show an increase in certain nutrients when cooked, according to the USDA Nutrient Data Laboratory. Cooked kale has 2.5 grams of protein, 0.52 grams of fat and 2.6 grams of fiber. Raw kale has similar protein and fat content but only half the fiber. 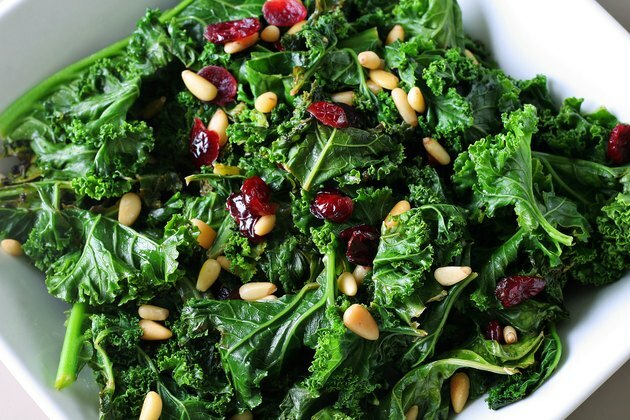 Other nutrients that increase in cooked kale include vitamins A, K and beta-carotene. 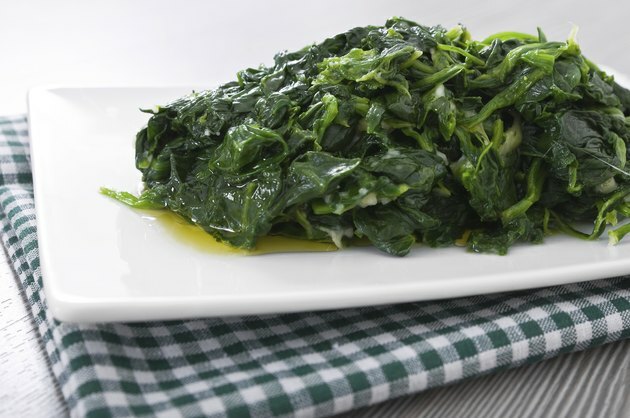 Spinach's protein content increases from 0.86 grams for 1 cup of raw spinach to 5.4 grams per cooked cup. Minerals that are more concentrated in cooked spinach include calcium, iron, magnesium and potassium, and vitamins that increase in cooked spinach include vitamin C, vitamin A, folate, beta-carotene and lutein. Zucchini, carrots and broccoli may give you more vital antioxidants when you boil or steam them, according to a study published in the January 2008 edition of the "Journal of Agriculture and Food Chemistry." Frying vegetables not only reduces the antioxidant properties of the vegetables, but also adds unnecessary fat to your diet. 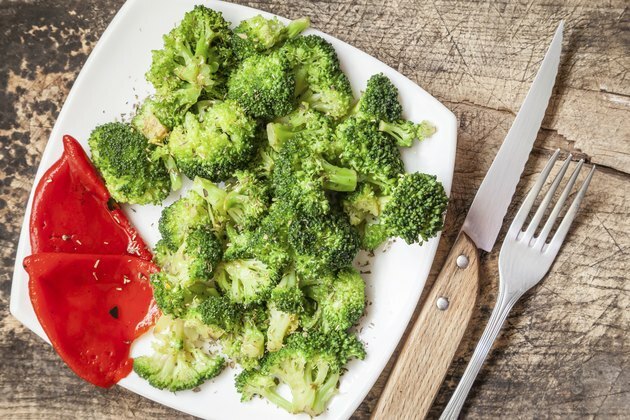 Cooked carrots contain more vitamin A, lutein and vitamin K than do raw carrots, A 1-cup serving of cooked broccoli has more lycopene, vitamin A and folate than raw broccoli and a cup of cooked zucchini gives you more calcium, potassium, vitamin A, beta-carotene and vitamin K than raw zucchini does. Onions, which are a low-calorie way to season meats, vegetables and casseroles, also have an increase in some nutrients when cooked. 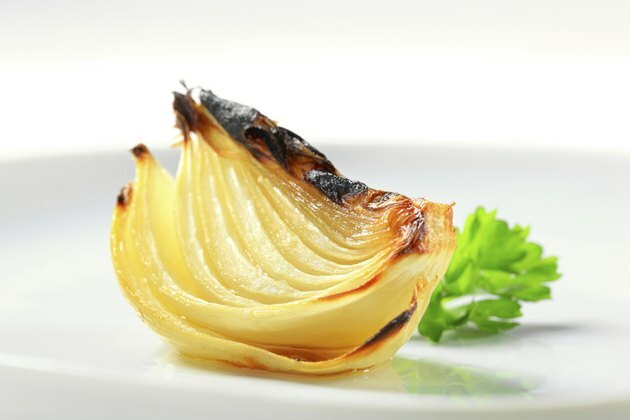 A cup of cooked onions has 1 gram more protein than raw onions, a higher concentration of both calcium and selenium, and more choline, lutein and vitamin K than 1 cup of raw onions. Choline acts to help your cell membranes move nutrients through your body, and it plays a role in reducing inflammation, according to the Linus Pauling Institute. Lutein, a phytochemical, aids your vision and retina health. Tomatoes are high in lycopene which, according to a report from Harvard Medical School, helps reduce cholesterol, reduce inflammation, improve immune function and prevent strokes. Cooking tomatoes releases lycopene which makes it more readily available for absorption. A report in the 2012 issue of "Nutricion Hospitalaria" states that lycopene is also better absorbed with a little fat, so if a cooked tomato or tomato products are too acidic for you, you could chop a raw tomato and drizzle it with olive oil to benefit from lycopene as well.